The image viewer of LXQt (LXDE-Qt) has been improved much recently. Here is the latest screenshot. Please don’t use it in a production environment. It’s not ready for daily use yet. You have been warned. Please use PCManFM-Qt git version for now. As many people know, a Qt port of PCManFM is under heavy development. Although we released PCManFM-Qt 0.1 previously, it contains some bugs and memory leaks. Most of the issues are already solved in the latest source code in our online git repository and will be available in the next release. However, the new code depends on the latest libfm 1.2, which is not released yet. Due to the small delay of libfm release, the new release for PCManFM-Qt cannot be made at the moment. Brave users who cannot wait for the final release are encouraged to try the latest git version of libfm and PCManFM-Qt to get the latest features and fixes. Detects icon theme automatically according to current desktop environment. 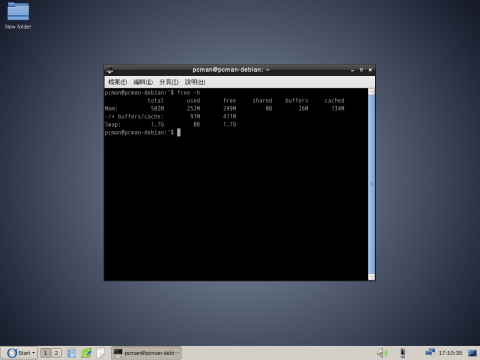 No need to set an icon theme manually in LXDE, XFCE, Gnome, and Razor-Qt. The current code of PCManFM-Qt in the git repo is nearly ready for daily use. The memory usage and overall performance are acceptable, too. When Andriy finishes libfm 1.2 and makes a new release, I’ll make one for PCManFM-Qt at the same time. Before that, users are encouraged to try the git version. Since I started learning Qt recently, I noted some issues when trying to port Gtk+ programs to Qt. 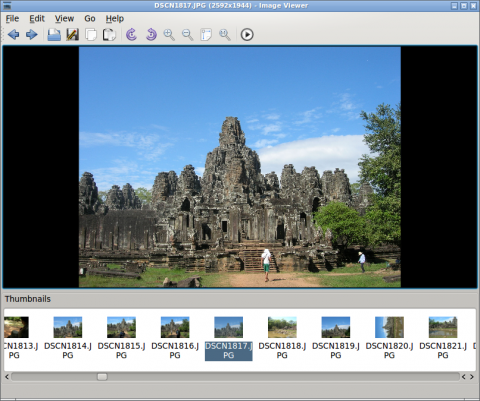 There are tons of tutorials for Gtk+ and Qt, but a guide for porting is lacking. Most of the articles comparing Gtk+ and Qt did not go into detailed issues people will encounter during coding. To help people porting their Gtk+ programs to Qt, I just started a wiki page documenting what I’ve learned so far. commonly used GtkWidget classes. Since I cannot find a similar list with Google, I built one. This is useless for experts, but it’s very handy and helpful for Qt beginners who already know Gtk+. The mapping between Gtk+ and Qt classes is not yet finished, but I’ll try to make it complete soon. I also documented things you need to know to safely mix glib/gio/GObject code with Qt. Later I’ll add docs describing how the translation systems differ. page to make it more complete and free from errors. It’s still a work in progress but I hope it helps someone as more and more people are using Qt and some more LXDE components *might* get Qt ports later. 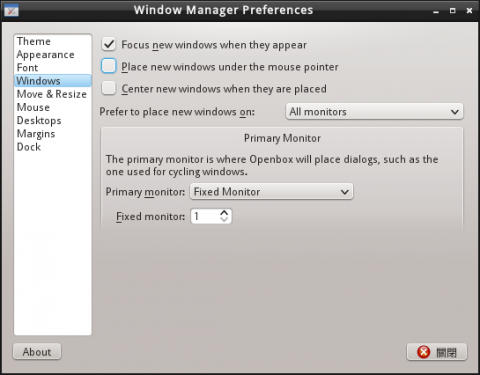 BTW, since Ubuntu guys is moving toward Qt, this also helps them. I just released PCManFM Qt file manager 0.1.0, the first Qt port of PCManFM. The tarball is available for download from our project page. You’ll need libfm to build it (which is included in many distros). P.S. When running the program for the first time, please choose an icon theme from the [Edit] / [Preferences] menu. Otherwise you’ll get no file icons. If you install the program into /usr/local, don’t forget to run “ldconfig” after installation, or libfm-qt won’t be correctly loaded by the loader. This release contains no thumbnail support yet. However a fully working thumbnail support is already in the git. it’s scheduled for the next release and not make public at the moment. Generally it’s a good idea to add this command to your session startup script. to open a folder with pcmanfm-qt, it can be shown “immediately”. BTW, please don’t mail me and ask if PCManFM will shift to Qt. The Gtk+ and Qt versions will coexist. There will still be new releases for the Gtk+ version in the future. The Qt port is only an alternative, not a replacement. So If someone is starting a whole new project and is thinking about what GUI toolkit to use, personally I might recommend Qt if you’re not targeting Gnome 3. I got some feedback about the toolkit choice above. Don’t get me wrong. I’m not saying that gtk+ is bad and did not intend to start a toolkit flame war. If you’re going to use python, C#, or other scripting language, gtk+ is still a good choice due to its mature language bindings. Vala is attractive initially, but after trying it in real development, you’ll see the shortcomings of this approach. Because it sometimes generates incorrect C code that still compiles, we got some really hard-to-find bugs. So we need to examine the generated C code to make sure it does things right. This takes much more time than just writing plain C code myself. Besides, the generated C code is not quite human-readable and debugging becomes a problem. Another issue that’ll hit you is the problems in the library bindings. Though there exists many vala bindings for various C library, their quality is uncertain. Finally, debugging, examing, and fixing the bindings all the time takes even more time and offsets the time saved by using Vala. To sum up, for compiled binary programs, Qt IMHO is a good choice to consider if you don’t hate C++.